Manchester United legend Gary Neville has slammed West Ham United youngster Declan Rice for his international deliberations. The 19-year-old Hammers star has caused uproar after being left out of the latest Republic of Ireland squad because he was deciding whether to commit his international future to England or Martin O’Neill’s side. Neville, on his personal Twitter account, offered no sympathy to Rice: “You should know where your allegiance lies,” he said. “I remember when with England and [Jack] Grealish ( the agent ) wanting meetings so he could decide who to choose. 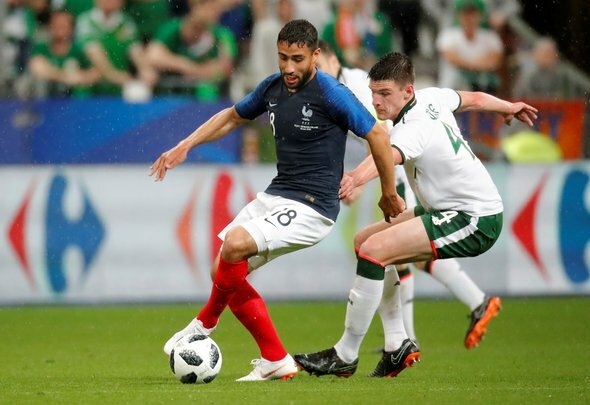 Rice has a trio of caps for the Republic of Ireland already, but all three came in friendlies meaning that he can switch his allegiance to England if he wishes. This is an issue which has caused much debate in the last week or so. It seems strange that after deciding to play for the Republic of Ireland on three occasions, that the West Ham man has now decided he is unsure of where his allegiances lie. Clearly England offer a more realistic chance of international success for the 19-year-old, and Rice was born in London, but it seems like he’d made his mind up the first time he pulled the Irish shirt on. To turn his back on them now, after representing them alongside his team mates, would be a kick in the teeth for O’Neill and his squad. Would Rice even get in the England squad at present? Probably not, so he would be taking a risk by defecting to the Three Lions. He has a greater chance at winning lots of caps for the Irish, but possible international success with England if he were to solidify a squad spot could be the clincher. Neville has made his feelings clear, now Rice must make a decision.